It's the first day of spring, but it's a miserable and cold one here in the Washington DC suburbs. The Cherry Blossom festival just started, but there's no way I'm going outside today. Instead, I reached into my (extensive) backlog of processed but unscanned film. 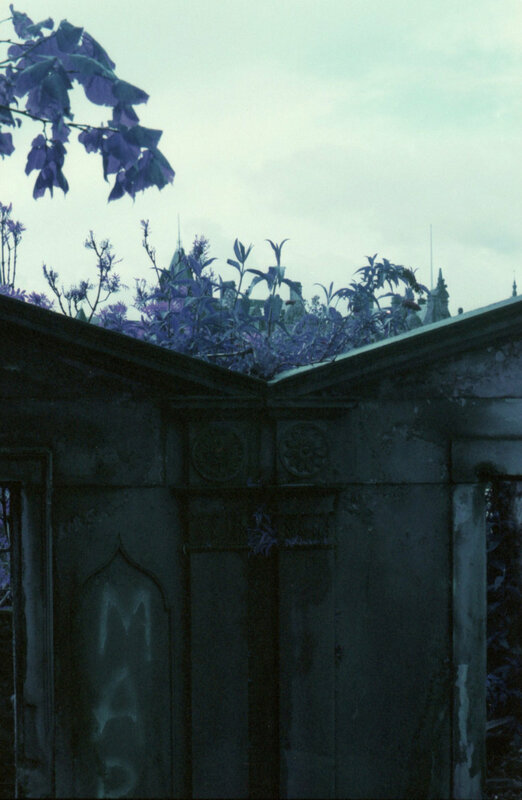 Today's random roll is some Lomochrome purple I shot last summer in Glasgow and Edinburgh, Scotland. On the one hand, I want to get better about scanning and sharing photos in a timely manner. On the other hand, it's a perfect day to re-visit a great Scottish vacation. 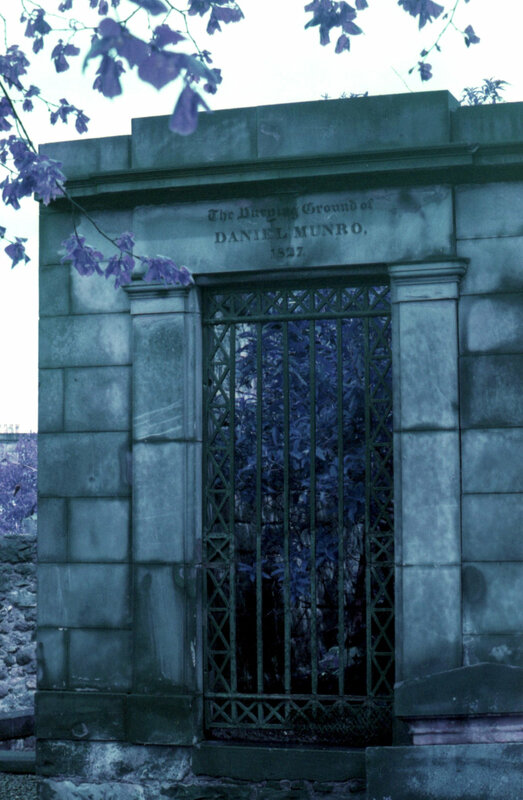 The photos below were taken ( as I recall) at the Calton Burial grounds in Edinburgh.